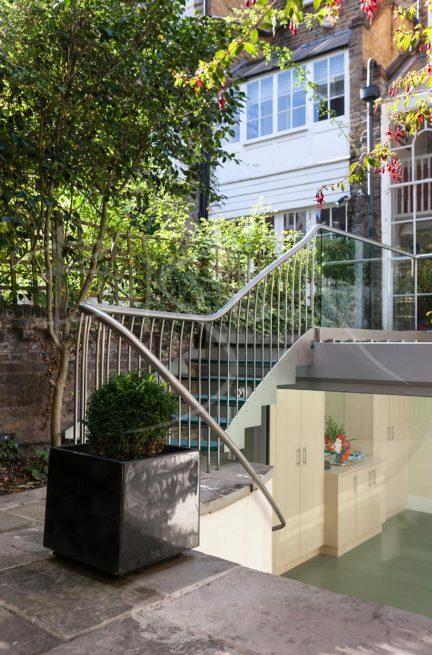 Garden Staircase – Kensington Terrace Property. 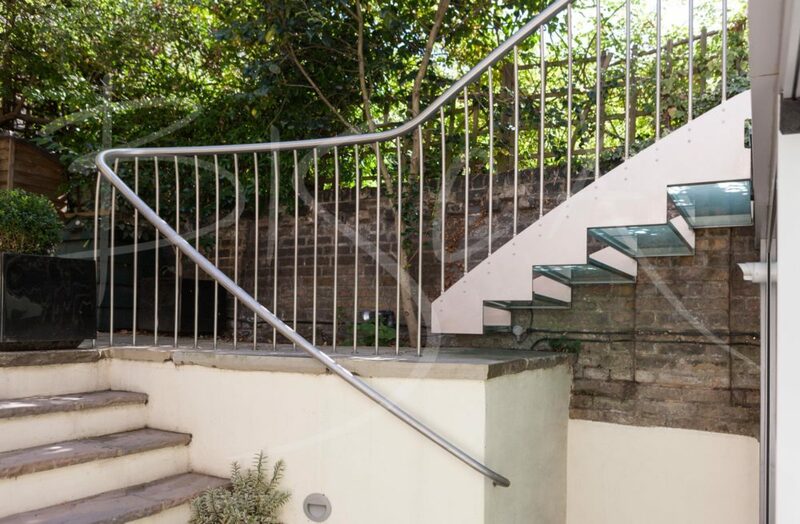 A bespoke garden staircase in central London, for architects Trombe. 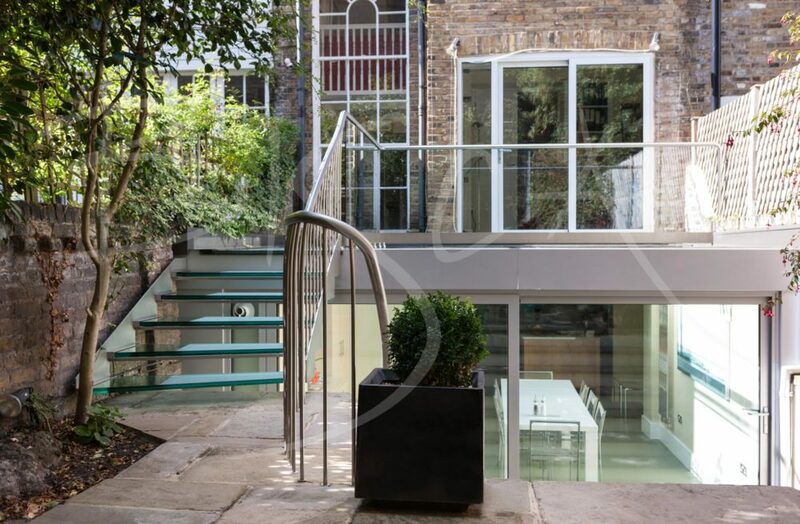 The design physically links a glass roof terrace and a new kitchen extension. 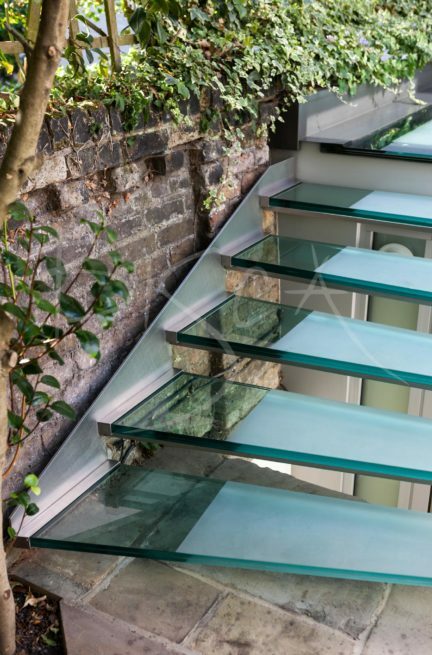 Bisca’s design of glass and stainless steel is a contemporary alternative to a traditional external staircase. Green treads, sand-blasted for safety, link to the green foliage in the garden. A hand forged and textured stainless steel balustrade completes the look. The staircase is low maintenance and will look beautiful for many years to come. To get a guide price for your project based on, or containing elements of, this staircase please quote staircase 3146.